These collected interviews, like a visit with Percy at his home on the Bogue Falaya River, provide refreshing close-up encounters with one of America's most celebrated writers. 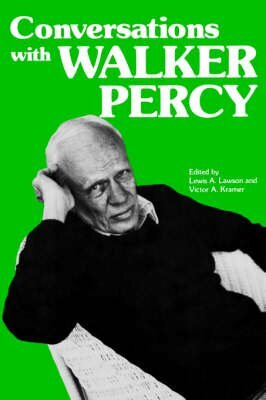 These twenty-seven interviews cover a period of twenty-two years, from the time of the publication of Percy's first novel, "The Moviegoer," in 1961, until 1983, when he was interviewed about his friendship with Thomas Merton. This volume is the second in the "Literary Conversations" series. These unabridged interviews, collected from a variety of sources, will give reading pleasure to general readers who wish to know Percy and his works more closely, and they will be of great use to Percy scholars.